Congratulations to all participants of this year’s U.S. Champions Poomsae Performance Camp and USATKD Poomsae Referee Certification Seminar held March 15 – 17, 2019! We had over 40 participants from 7 states this year! Thanks again to all camp leaders and good luck to all with training and competition this year! We look forward to seeing everyone on September 14th at the 9th Annual U.S. Poomsae Champions Cup! See photo galleries and more under the Regional Seminars & Events section! Thanks to all participants for another great competition last Saturday! We hope you enjoyed your experience and were able to establish a benchmark and set some new goals! Good luck this Fall and into 2019 as you train and compete at other events! Best wishes to our 2018 U.S. National Team Members who competed at this year’s event at the upcoming World Poomsae Championships in Taipei in November! Thanks for performing and setting such a great example! Results will be posted in the next few days, so be sure to check this page. We are also finalizing next year’s U.S. Poomsae Champions Cup date as well as dates for the U.S. Poomsae Champions Sport Poomsae Camp next Spring! Stay tuned! April 2018KTA hosted the 2018 U.S. Poomsae Champions Camp on Friday, Saturday, & Sunday – March 23, 24, & 25! This was a highly specialized technical training camp for Black Belts led by Master Cooley and his fellow U.S. Teammates. Over 50 participants from Georgia, Illinois, Iowa, Michigan, Minnesota, Missouri, Ohio, Virginia, & Indiana attended this year’s camp! See the photo gallery under the Seminars & Camps link! Mark your calendars today and plan for our 2018 events! Additional information will be posted here in the coming months. Please check back periodically. Please contact us if you are interested in a Poomsae Seminar for your school or organization. Click the “Seminars by Master Cooley” tab above to learn more. Thanks to all 2017 U.S. Poomsae Champions Cup participants for a great day yesterday! Congratulations to all competitors on your performances! Regardless of your placement, you all gained and grew. Coaches and families-thank you for your continued support and dedication to your special competitors!Special thanks to International Referees-Master David Turgeon, Master Brian Jang, and Mr. Eric Gilson for your leadership of our officials which ensured consistent scoring and judging throughout the day.A BIG thanks also to all KTA families and friends for working cohesively to host a first-class event!We hope to see everyone back next year! This was are largest and most talented group of any previous event! Over sixty participants attended from Connecticut, Georgia, Illinois, Iowa, Kansas, Michigan, Minnesota, Missouri, North Carolina, Ohio, Virginia, and Indiana. Click on Regional Seminars & Events for additional details and photos of this event. The 6th Annual U.S. Poomsae Champions Cup will be held on Saturday, October 29, 2016 at the IMMI Conference Center in Westfield, IN. Please mark your calendar today. Details to follow in the coming weeks! Congratulations to all participants and thanks to our Camp Staff for an outstanding weekend of poomsae training and development! Over 30 participants from Connecticut, Illinois, Iowa, Kentucky, Michigan, Missouri, Ohio, Washington (D.C), and Indiana attended our U.S. Champions Midwest Regional Sport Poomsae Camp on Friday, Saturday, and Sunday – March 20-21-22, 2015! 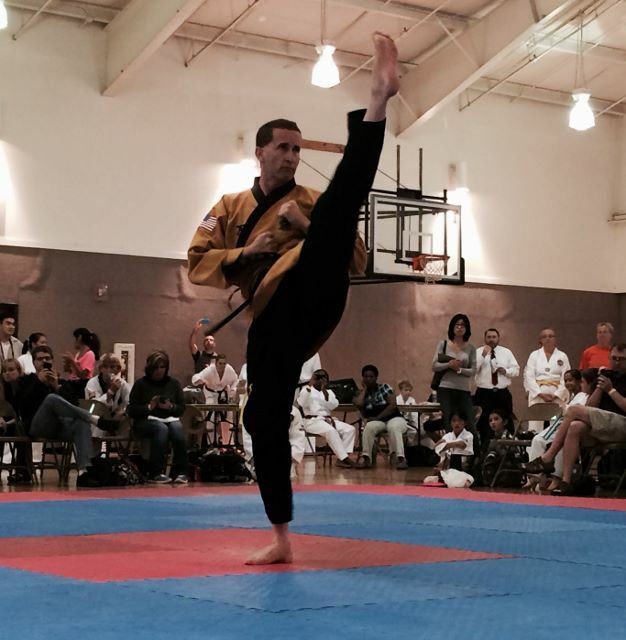 Check out the photos under the Poomsae Camps & Seminars link! My sincere thanks to all participants of the 4th Annual U.S. Poomsae Champions Cup held on Saturday, September 20th! We had a great event thanks to the dedication of many outstanding Taekwondo leaders! This year we hosted 117 competitors and had the highest turnout since our first event in 2011! This is a credit to many Masters and Instructors who have embraced competition poomsae and worked tirelessly to encourage participation. Thanks to our dedicated volunteers and referees, our event ran very smoothly and professionally; which gave competitors and coaches a great experience. We were privileged to have several U.S. National Poomsae Team Members support our event again this year; lending their expertise and providing feedback to the competitors. In the coming weeks we will post complete results on this site and hope to have a date for the 5th Annual U.S. Poomsae Champions Cup soon! Again, thanks to all for your support! I look forward to seeing you at other events soon! 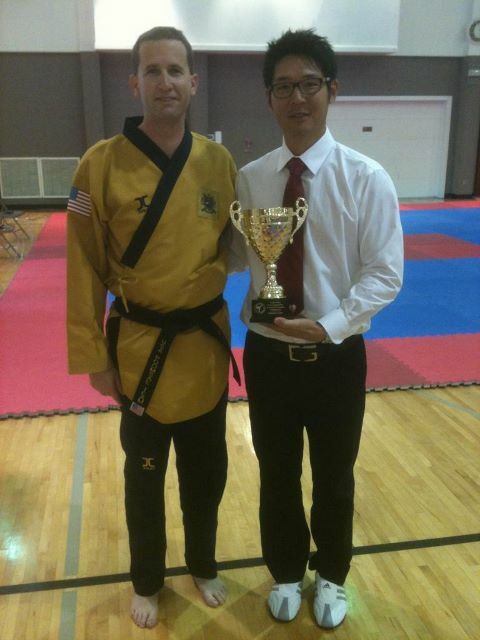 The 3rd Annual U.S. Poomsae Champions Cup held on Saturday, September 21, 2013. KTA was the host of this event. Over 75 athletes and 20 officials from Connecticut, Illinois, Kansas, Michigan, Missouri, North Carolina, Ohio, Pennsylvania, and Indiana were part of this special event which featured Poomsae Pro Scoring!Each participant had the opportunity to perform two poomsae for each round! In addition, joining Master Cooley were several U.S. Poomsae Team Members on hand to offer the athletes immediate feedback on their performances! Ko’s Martial Arts – Columbus, IN – was recognized as the “Most Supportive School” at our event. International Referee Master John Connors – Philadelphia, PA – was recognized for his continual dedication to the U.S. Poomsae Champions Cup. On Saturday, August 17th, KTA hosted the 2013 Improving and Perfecting Your Poomsae Performance Seminar. 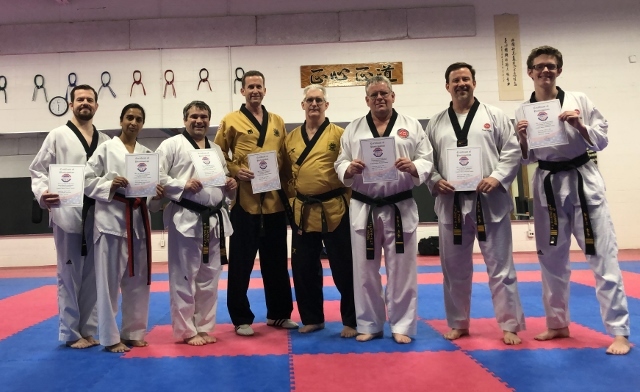 Over thirty participants from seven states attended this event led by Master Cooley, Master David Turgeon, Master Ron Southwick and Dr. Kristi George – all U.S. National Poomsae Team Members. 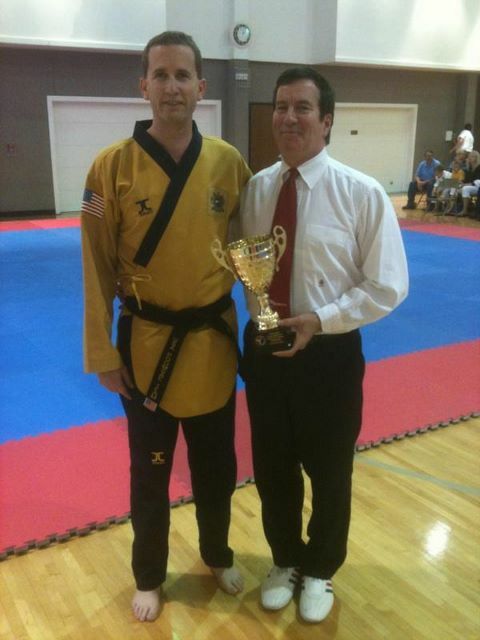 Participants included several high-ranking Masters and Instructors as well as high-level Taekwondo Referees!